The Internet is buzzing this morning with separate rumors that Apple’s iPad 2 and iPhone 5 will be delayed. The fact is, neither rumor is true. [ad#Google Adsense 300×250 in story]From what I’ve heard this morning both products are on schedule and will ship when they are supposed to. Only Apple knows exactly when that will be, but the products are not delayed. Bloomberg started the rumors this morning saying that “production bottlenecks at manufacturer Hon Hai Precision” had pushed the ship date of the iPad 2 from April to June. The report cited Vincent Chen and Alison Chen, analysts at Yuanta, as the source for the information. “Our checks suggest new issues are being encountered with the new production and it is taking time to resolve them,” said Chen in the report. 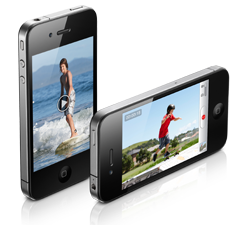 The second rumor on Business Insider suggests the iPhone 5 has been delayed until September, instead of the usual June or July launch that we’ve come to expect. That report cites FBR Capital Markets analyst Craig Berger as the source for its information. It seems amazing that rumors of Apple missing product deadlines are running rampant when Apple hasn’t even announced the product yet. The only deadlines that have been set are by the media, not Apple.